Trident renewal should be a complex debate, and there is a strong case for the left to support partial renewal. In ‘Dangerous omissions and intellectual obfuscation: the ‘left-wing’ case for Trident’, Ian Sinclair attacks me, and also journalist Paul Mason, for supporting some sort of replacement of Britain’s ‘independent nuclear deterrent’. The editors of openDemocracy have graciously granted me the opportunity to respond. First, a brief recapitulation. In the New Statesman online last year, I argued that debates over ‘Trident’ are worryingly narrow, considering only two options: complete unilateral disarmament, or full replacement of the existing four-submarine system and maintenance of the 365 day a year ‘continuous-at-sea-deterrent’. Since both courses involve substantial risks and costs, I believe other options deserve more serious consideration. I tentatively lean towards abandoning the continuous-at-sea-deterrent – strategic arguments for which are weak – in favour of a more limited deterrent, probably involving two submarines. This caters for the possible re-emergence of nuclear threats, whilst saving money and retaining flexibility to disarm or upgrade UK forces in response to future developments. Sinclair rejects this argument – indeed, the scare quotes around ‘left-wing’ in his title seem to imply that such a position is outright heretical to the left. This strikes me as regrettably dogmatic, but I am open to some of Sinclair’s arguments and think others deserve serious response. He makes three main points. First, Sinclair argues that I (and Mason) use loaded language like ‘defence’ and ‘national security’ which ideologically serves our argument – by masking the UK’s more offensive actions and ambitions, for example. I am actually highly sympathetic to this argument. Sinclair is right that the very language of ‘national security’ is often suffused with terms which, whilst purportedly neutral and technical, subtly encourage certain ways of thinking about politics. Everyone – academic, politician, journalist or just interested citizen – should reflect critically on the use of such terms and the connotations they encourage. Nevertheless, it seems a bit churlish to lambast Mason and me on these grounds. My contribution to the debate over Trident was a response to Labour’s plans for ‘Defence Policy Review’, a review subsequently entitled ‘Britain’s Security’, and led by Labour’s Shadow Secretary of State for Defence. Is it really so bizarre that I also use such words? Moreover, political language is never completely neutral. The UK’s contribution to international affairs is a very mixed bag: we perpetrated catastrophe in Iraq in 2003, but intervened to protect the legitimate government of Sierra Leone and its citizens three years earlier, and currently help combat piracy off the horn of Africa, amongst much else both good and bad. Alternatives to ‘defence policy’ (Sinclair suggests ‘war policy’) clearly carry their own omissions and biases. We should critically interrogate established terminology, but this doesn’t mean abandoning it in favour of words that simply reflect alternative ideological prejudices. One of the reasons Sinclair deplores the presentation of nuclear weapons as ‘defensive’ or a ‘deterrent’, is that he believes that Britain’s leaders have used them for aggressive threats in the past, and may do so again in future. Again, I have a lot of time for the general concern here. It is nationalist naivety to believe that whilst foreign powers can harbour all manner of aggressive conspiratorial designs, Britain’s leaders are paragons of wisdom and benevolence. But again, this highlights the need for critical examination of our leaders – not just the substitution of blind faith in their innocence with an equally automatic presumption of their belligerence. Genuine nuclear aggression by Britain would be catastrophic for our international reputation and alliance relationships, reducing us to a pariah state. We have very publicly pledged never to take such a course, and it is hard to envisage any scenario in which we would do so. Sinclair’s claim that Britain ‘threatened’ Iraq with nuclear weapons in 2003 collapses under scrutiny. It draws on a single source – by activist Milan Rai – which rests on a fantastically contorted interpretation of what British officials have actually said. For example, Geoff Hoon’s statement that Britain might retaliate with nuclear weapons ‘ultimately, and in conditions of extreme self-defence’ is construed by Rai as a threat so aggressive that it constitutes ‘nuclear terrorism’. This is clearly a highly prejudicial reading – indeed, it makes it hard to imagine any British statement of nuclear policy which Rai and Sinclair wouldn’t deem evidence of aggression! Still, I do share Sinclair’s reluctance to place faith in future British politicians – but what is vital to appreciate is that whatever side you take in this debate, you are placing faith in some politicians. Removing Britain’s nuclear deterrence means either relying on the future willingness (and competence) of American leaders to maintain a nuclear umbrella for our security, or relying on the benign future intentions of Russia, China or other powerful foreign states, hoping they will never use nuclear weapons as a source of leverage. If British leaders are capable of abusing nuclear assets, other leaders are no less so – so why is Sinclair worried about the former but not the latter? Third, Sinclair argues that Britain’s independent nuclear deterrent is a myth, citing the UK’s cross-party Trident report as proof that it is completely dependent on America. He conveniently omits to mention that this report nevertheless recommended renewing Trident, but I’ll pass over this. This issue is a core subject of confusion in debates over Trident, and like many others Sinclair fundamentally misunderstands the strategic meaning of ‘independence’. Yes, the construction and maintenance of UK’s nuclear deterrent certainly relies on US technology and shared infrastructure. But no serious advocate of replacing Trident denies this, and it is not the point behind labelling the system ‘independent’. On this logic France’s entire military isn’t ‘independent’ because it uses imported petroleum. Sinclair is also right that the UK would never use Trident unilaterally, but again, independence isn’t the same as unilateralism. Multilateral decision-making is embedded in the militaries of all European states, but this obviously doesn’t mean those states don’t have any independent military forces. A multilaterally consulted, technologically interdependent British nuclear deterrent still possesses the single critical feature which justifies the label ‘independent’: the capacity to credibly ensure retaliation against a nuclear aggressor, rather than relying on an ally to put the lives of their citizens at risk by doing so. Partly this reflects the capacity to independently launch a missile – Sinclair believes this is not possible without US approval, but he is mistaken. Lord West, a former First Sea Lord and Security minister, confirmed the system’s operational independence in a 2009 investigation, and in the very sources Sinclair cites can be found several other individuals, whom he selectively excludes, who also confirm this. In any case, even a British system more thoroughly intermeshed with America would be preferable to one that required the threatened launch of explicitly American weapons and the consequent bringing of American lives into the firing line in order to credibly defend Britain. Again, abandoning Trident means relying on America’s political leaders always being willing to run such risks over the next 40-50 years. The trends and tremors of American politics provide plenty of reasons to be unconfident about that prospect, or worried about the price Britain may have to pay for it. It is curious that the anti-Trident left, so often critical of America, appear unconcerned about this point. Sinclair misrepresents or misunderstands my argument at several other points. He attributes to me the ‘baffling’ argument that nuclear weapons can deter terrorist organisations – baffling indeed, since I do not make this argument. I did claim that an ISIS-like entity which morphed from a terrorist organisation into a territorial state might be deterrable. Sinclair seems to think this impossible, because terrorists are wildly irrational whatever form they take, but this is a caricature of terrorism rejected by all serious scholars – interested readers can seek out influential books by Louise Richardson or Robert Pape. The real reason why terrorist organizations can’t be deterred is because as transnational networks their attacks are hard to trace and their structure almost impossible to target. Hence it is significant when they establish or take over territorial states. Sinclair also suggests that by arguing for replacing Trident I am advocating violation of international law. The exact legal implications of the Nuclear Non-Proliferation Treaty (NPT) are disputed – Sinclair picks and chooses the evidence that supports his view. The treaty requires nuclear weapons states to pursue negotiations to cease arms races and eventually formulate a treaty on general disarmament. Britain has already gone further than any of the other five recognised nuclear weapons states to reduce its armaments. But neither the NPT nor relevant International Court of Justice rulings impose a timetable for abolition or forbids renewal when existing systems degrade. Still, this is an important component of the Trident debate, and one on which I’d welcome more widespread discussion. Sinclair also asserts that I am blind to the risks of nuclear disaster, because I refer to nuclear apocalypse as ‘improbable’. This is a complete inversion of the relevant paragraph in my original article. Improbable doesn’t equal impossible – my point was that slim chances of nuclear conflict are terrifying. More generally, Sinclair suggests that those who advocate renewal of Trident are unconcerned about the risks of nuclear holocaust or happy to commit ‘genocide’ against other peoples. This is a complete misrepresentation: advocates of renewal mean for Trident never to be launched, since the moment a deterrent is launched is the moment it has failed. The point, which Sinclair and other strident abolitionists refuse to acknowledge, is that the choice over Trident’s future involves risks on both sides. There are certainly risks in replacing it. If I and other advocates for renewal are wrong then billions of pounds that could be spent elsewhere will be wasted, and we may have raised the risks of nuclear proliferation and confrontation. I’m very concerned about this. But such risks need to be compared to the risks involved with disarmament. The absence of a deterrent makes a state more vulnerable to nuclear blackmail and may make nuclear attack more likely. By far the strongest détente of the Cold War was achieved after the USSR achieved rough nuclear parity with the USA in the early 1970s. And by far its most dangerous period was when the USSR either lacked nuclear weapons or felt so inferior in nuclear terms as to lack a credible deterrent. Unilateral disarmament in a world where others continue to have nuclear weapons carries real risks. Advocates of disarmament do not generally take these risks seriously. Instead, they reason that since so many other countries don’t have nuclear weapons, there can’t really be any need for them. This is a deeply misguided argument. Non-nuclear weapons states are fully aware of the danger of future nuclear blackmail or conflict. Japan and South Korea are deeply concerned about North Korea and the rise of China, and countries like Estonia, Latvia, Poland and Turkey are no less fearful of Russia. It is not that an independent nuclear deterrent holds no value for these or other states. But none of them feel compelled to currently build one, since they are members of strong alliances that already contain nuclear weapons states – principally the United States of America. By contrast, states which lack nuclear allies, or lack confidence in their allies, do often feel the need for their own nuclear weapons. India, Pakistan, Israel and North Korea have all built nuclear arsenals for this reason. Iran, South Africa, Libya and Iraq have all attempted to do so in the past. More states may do so in the future – especially if US willingness to protect its allies wanes and Britain and/or France have abandoned any alternative deterrent capability. Should the world take such a course, disarmament will have become a disastrous mistake, leaving Britain and its allies much more vulnerable. Now, I’m not remotely confident that this is how the world will play out. We are trying to anticipate the global security environment in ten, twenty and forty years’ time, and no one knows for sure. Anyone willing to say ‘trust me, nuclear confrontations are a thing of the past’ or ‘I assure you, we’re going to need this deterrent in the future’ is a fool. The question is what to do when we aren’t sure what the future holds – when nuclear confrontations seem highly unlikely, but not impossible, requiring us to calculate how to balance the risks. Do we prioritise the savings (financial and otherwise) of disarmament? Or the insurance against those unlikely but possible future nuclear confrontations? For all the bluster on both sides, neither position is obviously misguided. I tentatively come down on the side of a limited renewal, and the long run internationalisation of nuclear technology and its removal from the perils of nation-state control. I ultimately think the risks run by complete disarmament are too great. But it’s a question I feel continuously torn over – and whatever your own view, if you appreciate the terrifying stakes involved you should feel the same way. This is a terribly comforting story to tell yourself about your intellectual opponents. But as Bertrand Russell once noted, it is generally those most supremely certain of the superiority of their own views that have failed to understand the issues involved – a phenomenon now famous in psychology as the Dunning-Kruger effect. Incredulous contempt of others does not generally suggest open-minded and ‘rigorous’ analysis – and as I have shown, Sinclair’s accusations of ‘errors, slips and omissions’ either don’t stand up under scrutiny or involve arguments I actually agree with. Such hubris corrodes effective thinking, and poisons debate. 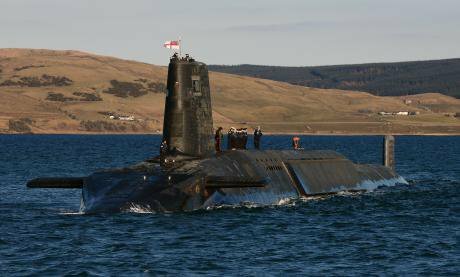 The case for abandoning Trident is a serious one. But so is the case for renewal. Given that we cannot magically wish away all other states’ nuclear weapons and ambitions, identifying the best course by which Britain can minimise the risks of nuclear blackmail, accident and war in the decades to come is not easy. As on so many issues in British politics, a little less muddled righteousness, and a little more sincere reflection, is desperately needed.